Designed to maximise paint flow and minimise tip dry. Available as a Ready-to-Use reducer, or as a Concentrated reducer that is mixed at a ratio of 1 Part Concentrate to 9 Parts bottled water before using. 250ml of Concentrated Reducer makes 2.5lt usable reducer! 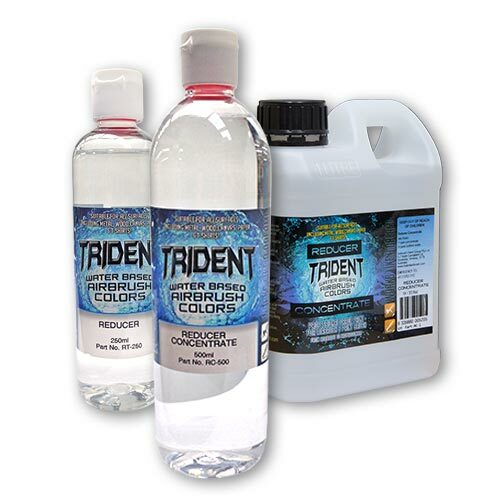 For best results mix reducer concentrate with filtered or bottled water. 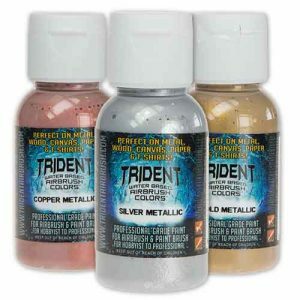 TRIDENT is a revolutionary water based airbrush paint that provides premium performance and results. It was designed with the highest expectations, and is a joy to paint with. 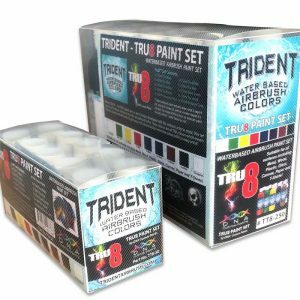 With current standards of other water based paints being unacceptable, TRIDENT water based airbrush paint was designed to paint as well as any top performing urethane; and it does! In saying that, it doesn’t just flow like a urethane, it paints like a urethane. It is a water based paint that actually atomizes! Another fantastic feature is its multi-surface application. It is suitable for most substrates including hard surfaces such as metal and sealed timber, medium surfaces like paper and board through to fabric and textiles. 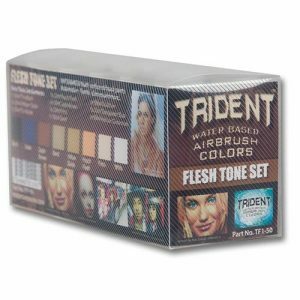 TRIDENT is made by artists for artists. 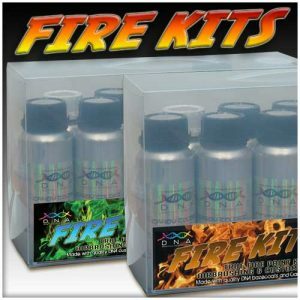 Addition of DNA Paints or other DG products to your order may change above shipping rates.